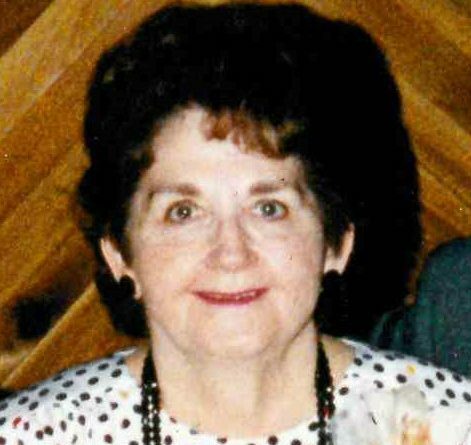 Marjorie A. Tepp, age 97, of Stevens Point, passed away on, March 18, 2019, at St. Michael’s Hospital (Ascension). She was born on October 13, 1921, to Jeremiah and Hannah Riley in Fond du Lac. After graduating from high school, she met and married the late Bernard Tepp on May 27, 1939. They moved to Stevens Point and raised their family of four children. Survivors include her; sons, Terry and Elaine (Milcharek) Tepp of Plover and Randy Tepp of Stevens Point; 12 grandchildren; 21 great-grandchildren; one great-great-granddaughter; nieces, nephews, and their families; other relatives and friends. She was preceded in death by her parents; her husband of 55 years Bernard Tepp; daughter, Sharon Voypick; son Dennis Tepp; sister, Francis Riley; brothers Raymond and Donald Riley. Funeral services will be held at St. Bronislava Catholic Church in Plover at 10:30 AM Friday, March 22, 2019, with the Rev. Edward Shuttleworth officiating. A cremation burial will follow in St. Bronislava Cemetery in Plover. Visitation will begin at 9:30 a.m. at church before the service. Pisarski Community Funeral Home & Cremation Center of Plover is honored to be assisting the family. For online condolences, please visit www.pisarskifuneralhome.com.